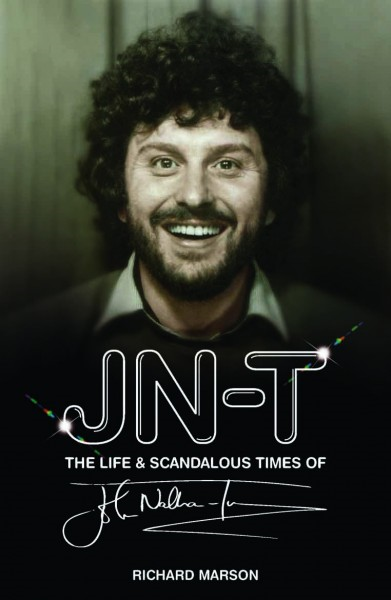 J N-T: The Life and Scandalous Times of John Nathan-Turner (review) – Marc Schuster, etc. You know, J N-T does kinda look like the Tom Baker Doctor ( you know…when you remove N-T’s face and put in Tom’s…). Was that intentional? Do you think there was some vicarious living going on there? To the Tardis, everyone! K-9! Actually, there’s been speculation that Colin Baker, who played the sixth Doctor and also had a shock of unruly hair, was cast as a kind of surrogate for JN-T.